Fabric markers that fade after the first washing. Fabric markers with rich pigments that resist fading. One of the kids favorite crafts to do is decorating T-shirts, I think that they’ve made a T-shirt for every occasion that you can possibly think of. 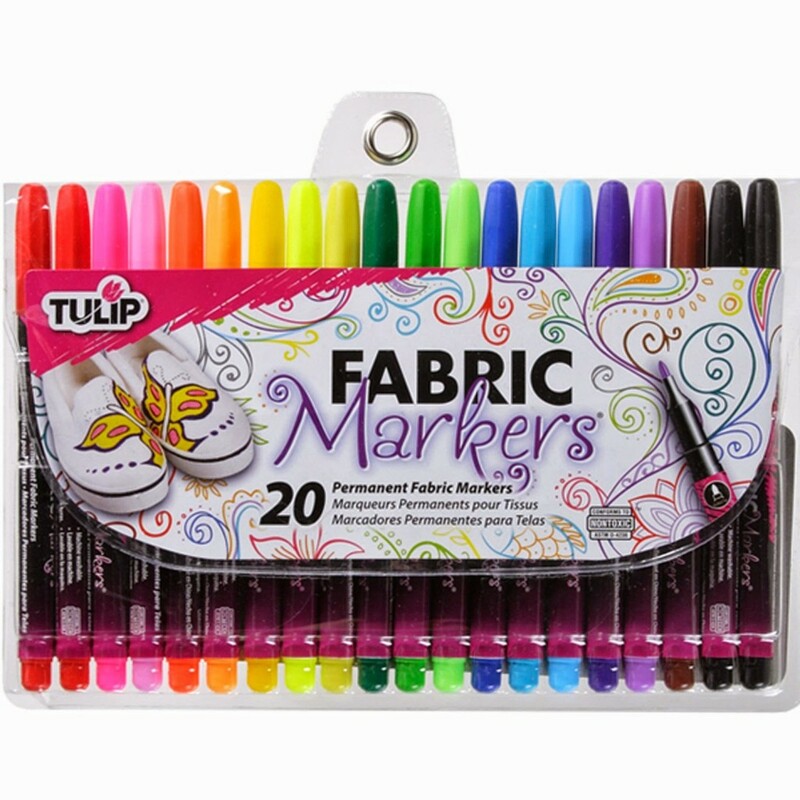 One of the things that is really upsetting though is when they’ve put so much time in to decorating and it fades after the first wash. We’ve found that the TULIP Fabric Markers (fine point) 20-Pack are the best at holding their color wash after wash. Get yours for just $11.99 (40% discount).